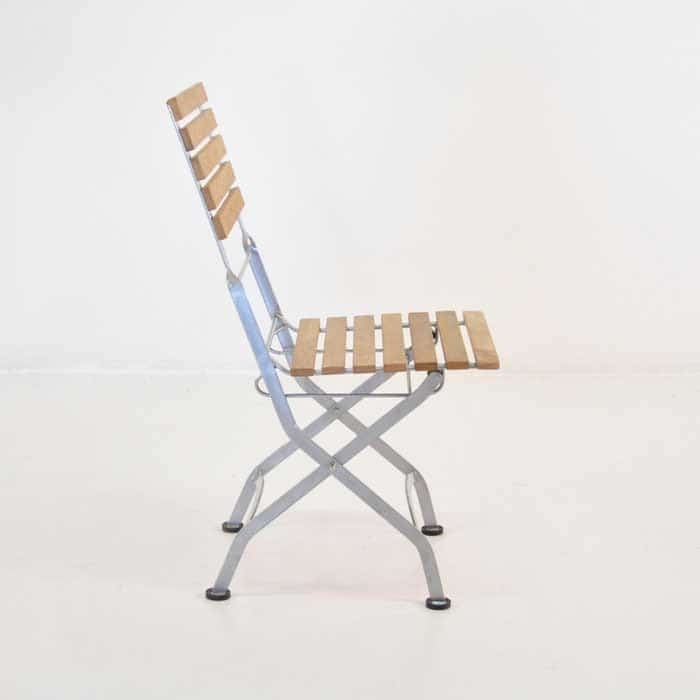 The Café Teak Folding Side Chair is a substantial but smart folding chair which pairs teak and glossy powder coated steel to give you a low profile option for extra seating. 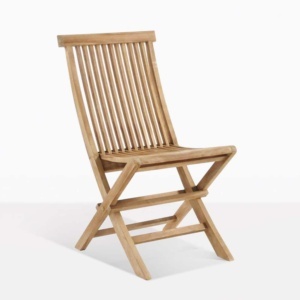 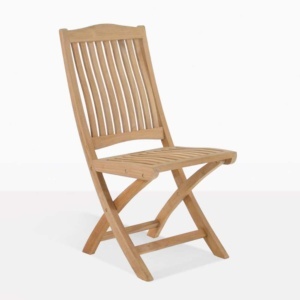 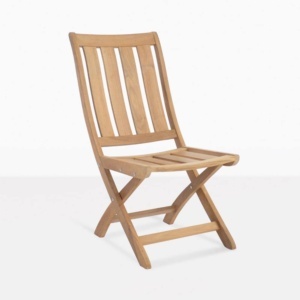 This teak folding chair is solid and comfortable while also allowing for a slim folded profile and a small footprint. 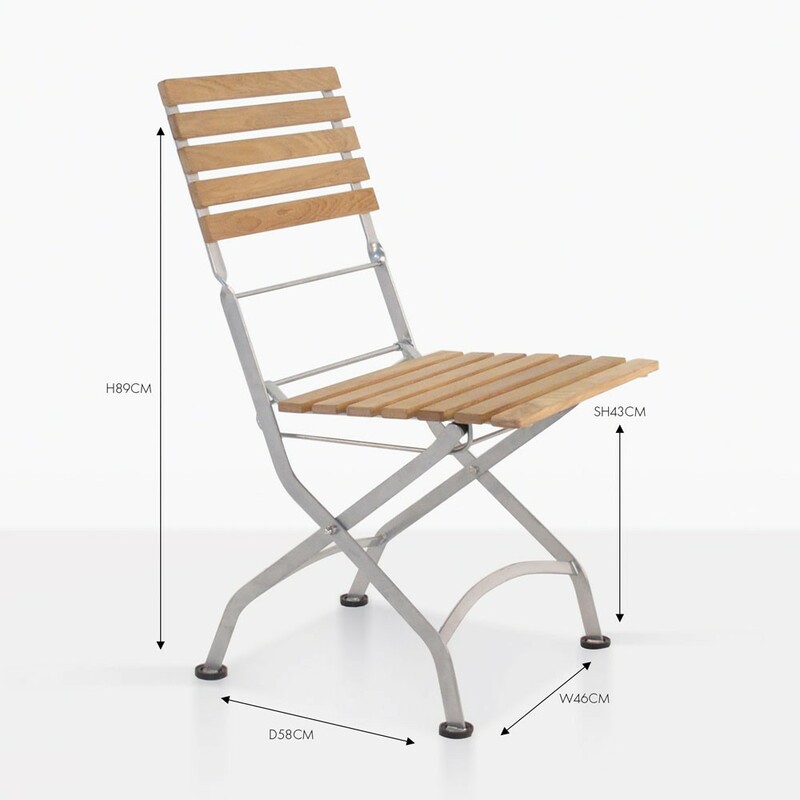 Finishing touches like rubber foot-pads and high quality hardware make this a chair that will look equally at home in your garden as it does in front of your favourite café. The beauty of the teak is highlighted by the utility of the beautifully finished Steel structure and the combination creates a perfect conversation piece despite its understated and versatile nature.